Registration closes after 31 March 2019. 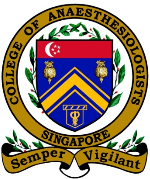 Nominations are now open for the College of Anaesthesiologists, Singapore Council for the term 2018-2020. "Safer Anaesthesia for Patients and Clinicians"
Registration is complimentary for CAS Fellows and SSA members. Non-CAS Fellows or Non-SSA members are subject to $100 registration fees. Click HERE for the complete programme details. Click HERE to register online or complete the registration form in the e-flyer and email back to CAS Secretariat, Ms Jenny Azores-David at cas@ams.edu.sg. Deadline of registration is on 23 March 2018 (Friday). Thank you and we look forward to your solid support and participation in this event. "Updates on Obstetric Anaesthesia and Paediatric Anaesthesia"
Everybody is invited to join the Chinese New Year “Lo-Hei" celebration sponsored by the College of Anaesthesiologists, Singapore. For catering purposes, please register your interest by emailing CAS Secretariat, Ms Jenny Azores-David at cas@ams.edu.sg, or call 6593 7872. 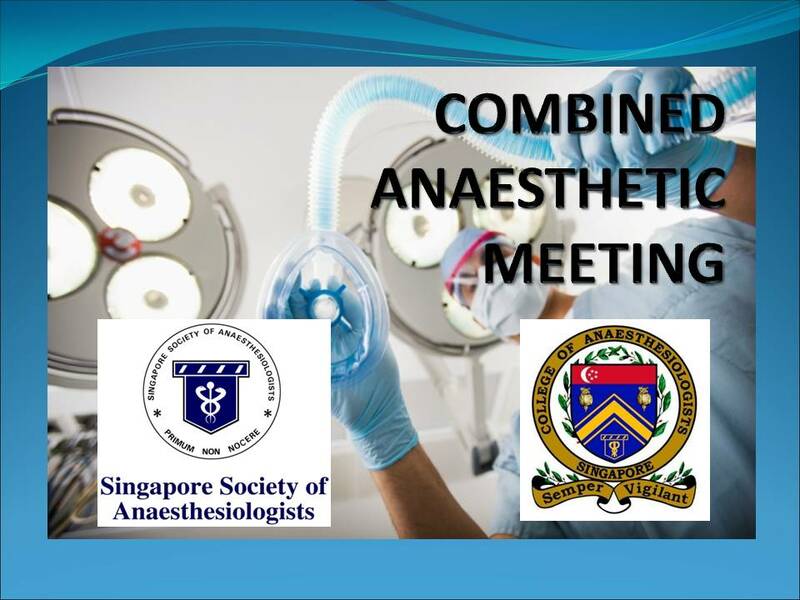 The College of Anaesthesiologists, Singapore; Singapore Society of Anaesthesiologists; and the Chapter of Otorhinolaryngologists, College of Surgeons, Singapore held a combined symposium on 14 October at Tan Tock Seng Hospital, with the theme “Sharing The Upper Airway”. The College of Anaesthesiologists, Singapore (CAS) held its annual Refresher Course, themed: Riding the New Wave on 8th – 9th April 2017 at Shangri-La’s Rasa Sayang Resort & Spa, Batu Ferringhi, Penang, Malaysia. For catering purposes, please register your interest by emailing the secretariat, Ms Jenny Azores-David at cas@ams.edu.sg, or call Jenny at 6593 7873. The College of Anaesthesiologists Singapore will be holding our 11th Refresher Course on the 8th and 9th of April 2017 at the Shangri-La Rasa Sayang Resort, Batu Ferringhi, Penang. The organizing committees headed by Assoc Prof Ti Lian Kah hopes to provide an interesting and stimulating event for our members. The theme of the meeting is 'Riding The New Wave'. The Scientific Programme will comprise of a professional segment and an update segment. The Professional Segment will be highlighted by Assoc Prof Chen Fun Gee, who sits on the Complaints Committee of the Singapore Medical Council, and will provide insights on how and why anaesthetists get into medico-legal trouble; and Assoc Prof Chan Yew Weng, who is the Scribe and Member of the AMS Council, on what the Academy of Medicine, Singapore does and how it impacts anaesthesia. In the update segment, we will keep members informed of the latest developments in academic anaesthesia in each of our three areas of practice - anaesthesia, critical care and pain. Thank you for your support in our 9th Refresher Course in Bali in 2015, and our 10th Refresher Course at York Hotel earlier this year. We sincerely hope that you can continue to support and contribute to our College events. For more details on the scientific programme and registration, please click on this link. For accommodation, please click on this link. For catering purposes, please register your interest by emailing the secretariat, Ms Chua Pei Jen at cas@ams.edu.sg, or call Pei Jen at 6593 7868. For more details on the program, please click here. To register your interest kindly contact secretariat, Ms Chua Pei Jen at peijen_chua@ams.edu.sg, or call Pei Jen at 6593 7868. The College of Anaesthesiologists, Singapore is holding our Refresher Course 2015 at The Laguna, Bali on the 16th and 17th of May 2015. If you have not register your interest, please register with CAS Secretariat at cas@ams.edu.sg or phone Pearly at 6593 7809. For more details on the scientific programme, please click on this link. Please find attached the reservation link https://www.starwoodmeeting.com/Book/College for The Laguna ,Bali for your accommodation. For registration , you can click on this link for the registration form. If you are interested in joining the Pain Medicine Section, kindly submit your application by 15th February 2015 to secretariat, Ms Pearly Gan at pearly_gan@ams.edu.sg . Admission to the Pain Medicine Section is subject to review by the Pain Section Exco Committee. We sincerely look forward to your application and welcome you on board. Please click here for Dr Theodore Wong's speech on Reminfentanil at the Refresher Course 2014. For more details on the program, please click here. To register your interest kindly contact secretariat, Ms Pearly Gan at pearly_gan@ams.edu.sg, or call Pearly at 6593 7809. Please find attached Dr Andrea Gabrielli's Presentation on A-ACLS by clicking on the link here. Please find attached Dr Andrea Gabrielli's presentation on CPR-ROSC by clicking on the link here. The College of Anaesthesiologists, Singapore in collaboration with the Royal Perth Hospital and University of Western Australia is conducting a survey on the current use of neuromuscular blockade among anaesthesiologists (registrar and above) working in Singapore. In support of the College of Anaesthesiology (CAS) Medical Missions Fund, AbbVie would like to invite you to participate in a photo contest to capture the meaningful moments relating to your mission trip. CME Points will be awarded. Registration closes after 29 March 2019.